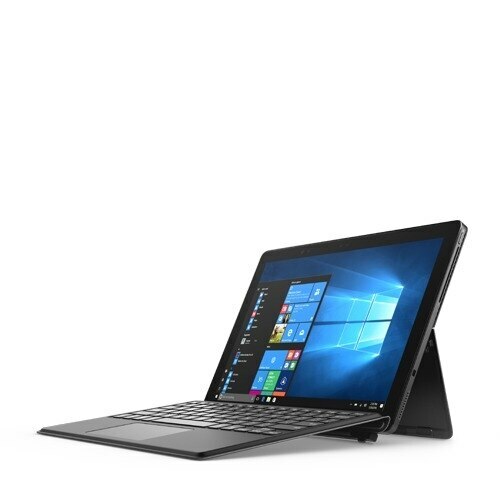 Snap the Dell Latitude 2-in-1 Travel Keyboard onto your tablet for a natural typing experience wherever your busy day takes you. 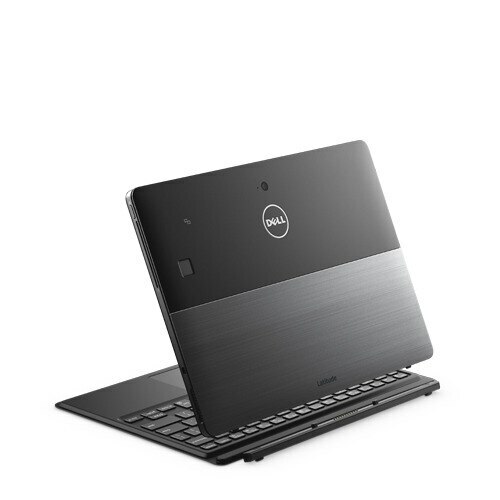 Slip the thin and lightweight Dell Latitude 2-in-1 Travel Keyboard into your bag and head out to your next meeting or business trip. You’ll be able to remain productive on the go with the laptop-like experience of the Travel Keyboard. Simply snap it onto your tablet when you’re ready to work or fold it on top of your tablet to protect the screen from scratches in transit. The microfiber material under the keyboard is stain resistant and non-absorbent, allowing it to be easily cleaned. Type fast on the full sized keyboard with well spaced chiclet-style keys, just like the best laptops offer. Whether you’re in a dim hallway or bright room, backlit keys will keep you productive. Plus, navigation is a breeze — a high-precision, gesture touch pad makes it easy to make selections on screen and move from one application to the next. Slide the keyboard into a flat position when you’re working at a desk, then adjust the angle of the hinge when you’re leaning back in bed at the hotel to send that last email of the day. 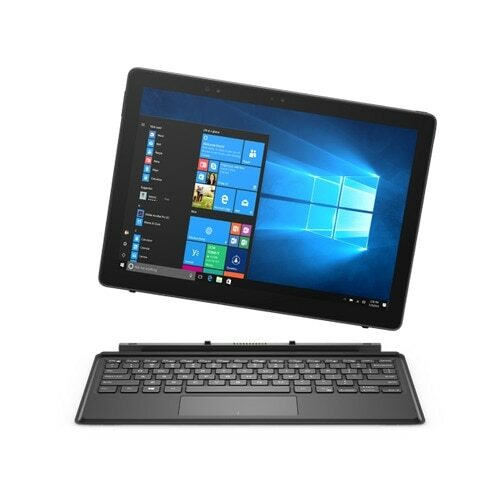 When you’re ready to get down to business and transition from tablet to laptop mode, a magnetic connection makes it simple to snap the keyboard onto your Latitude 2-in-1 and get started.